The Christmas night I got engaged was a magical memory- almost a dream. My flight didn’t arrive in Louisville a few hours before midnight so when we got to Bill’s home the room was dark and silent, except for the crackle of the embers fully fueled in the hugest fireplace I’d ever seen in a house. It was the only thing providing light for us to see our way in. Unlike my experience, this family actually used their fireplace for building real fires! Massive logs were brought in from the porch before the fire had a chance to die down. As I stared into the fire, I couldn’t help but wonder about the years of fires that burned in this beautiful fireplace. I knew the black etched walls inside were scars of the best kind- marking this house as unique and particular to this family. Each one represented years of winters shared, and fires burned with the family of this home sitting together in this cozy room. Their first year turned into decades as this family played out their lives one day at a time. Learning to walk and talk, sharing meals, working puzzles, singing, telling stories from the day. Going to school and work, the seasons rolled out in four distinct portions. As I quietly watched the flame, in certain moments it was as if I could see a flash of images that lit the hearth using it as its stage to replay a scene from the precious moments that occurred so long ago. The fire burned from October to March- never going out. I was a teenager and my brother was just married. He is two years older than I. My little sister is 8 years younger. Our tree happened to be real that year, sitting beautifully decorated beside the fireplace looking very Norman Rockwellish. Our family was sitting around the den waiting to start our little ritual of the gift openings. My Dad was sitting in his chair reading; my Mom was working in the kitchen. My sister-in-law and my sister and I were sitting down eagerly waiting for my Mom and my brother to get settled. My brother walked in and said, “I think I will build us a roaring Christmas fire.” We honestly didn’t pay much attention to him. Before we all knew what was happening he returns from outside with a margarine plastic tub filled with something. He said, “This ought to do it.” It was at this point things shifted into slow motion and we all looked up at the same time … but not in time. My dad realized what was in that margarine tub and jumped up from his recliner and reaching out as he said: “Son, I don’t believe I’d …” He didn’t get a chance to finish that sentence. Mark released the contents of the tub, which we all could smell as gasoline, into the fireplace. My brother instantly became a walking ball of fire. Each of us sprung into action in our own way taking on a specific role in this disaster. My flaming brother disappeared to put himself out. My sister-in-law reached out for the mantle to extinguish her burning wedding picture. My mother, being the frugal person she was, loaded up her arms to save the burning Christmas gifts and started throwing them out the back door. My dad went out the back door to turn the hose on and try to put the fire out. He aimed the water hose towards the open door trying to reach the tree that was engulfed in flames. The problem was this hose had been cut off and only had 2 feet of length … so he just kept aiming it at the door and hosing my mom down each time she walked out the door carrying fire presents. They spent a few minutes yelling at each other and tried to get the other to stop what they were doing. My little sister sat on the couch crying, “Christmas, Christmas, oh Christmas.” Being the stable middle child, I ran to the closet and grabbed the heaviest blanket I could find and put the fire out. It’s bad form to be the hero of your own story but I have to tell it the way it was, so I get to be the hero here. We spent the next hour standing out on the wet porch picking up half-burned Christmas presents. We cried and then we laughed as we opened the wet boxes saying; “oh thank you for this sweater, I love it.” It was a total disaster but we were all safe, however, covered in soot and water. We all got a big family gift that year … new carpet. Maybe our best Christmas ever. So, you can see the Grand Canyon that existed between my fireplace and my husband’s. Worlds apart but one common thing – a healthy happy thankful family. That was my family’s last fire – in the fireplace and otherwise. But the Langley fireplace … well, it was built to be used by experienced people. It had huge logs- literally cut down from their own trees. I felt like I was in a movie. A home so different from the homes I’d lived in. A town straight from a chick flick with an old downtown circle. It was absolutely enchanting. I’ll never forget the smell of the hardwood in the fireplace mixed with a plethora of homemade cooking smells. It forever remains my inspiration. A fire all winter long to warm the hands and feet of my husband when he was just a child. A safety screen in place to keep those little hands and feet from being more than warm. A home built and established by my father-in-law and mother-in-law. I could see in his eyes memories that warmed his heart as he replayed them in his head. Eyes that reflected the respect and admiration of the two people who made this all possible — very grateful for this life. His parents, a young couple who dedicated this home to God, literally building not just a house, but a home. They were blessed with four little children in all. This little boy whom I would one day marry, his brother and sisters made each year new as they faded in and out of that room, each time taller, each time something indistinguishable had changed. … so subtle that it was undetectable to the ones living in the moments sharing the house. The story was in the fire. It crackled, popped, burning, blazing brightly as if beckoning us to look closer and imagine the many words spoken in front of this fireplace. The fire carefully holding these moments safely in the furthest most unreachable place, embedded forever in the walls, holding the joy of the laughter, tears and magical moments that came from growing up in this home. I tried to imagine how it was for this family. How many times had that back door opened and closed? The unmistakable sound of the screen porch door shutting twice … the first time louder than the last. How many times? How many logs burned in this fireplace? The smell of a real fire filled the room. An unmistakable smell of years of wonderful homemade casseroles and desserts — seared into my senses for all my years to come. The bar of my expectations was forever raised to emulate this heartwarming delectable smell. I now had a whole new family to teach me the southern Kentucky way of life. I was proud and honored to join this rich heritage. Thirty-six years later I have a lifetime of stories and life lessons that have certainly made me a better person. I’ve always been proud to share the name Langley with this family that became my family too. I got to enjoy many years of fires in that fireplace- a little light shining into the room providing the perfect amount of light. The light of the world — that’s Jesus. I Corinthians 4:6 “For God, who said, “let light shine out of darkness” made His light shine in your hearts to give us the light of the knowledge of the glory of God in the face of Christ. That verse is packed with power! God tells us what to do. “Let light shine out of darkness.” God always gives us what we need to obey his instructions — so He put His light in our hearts so we could have the light of His knowledge. 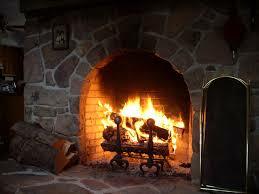 A fireplace burning faithfully as the people of the house tend to the flame. Jesus truly is the light of the world. *Thankfully, no one was injured in the events of this story! Wow! You are such a creative writer!! Love reliving the Fire Christmas story! That is imprinted on my mind!